Have you been playing our Black Friday Roulette? This time of year is expensive for us all so why not save a few pennies and pounds on those all-important orders this Festive Season! 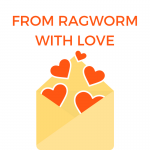 Ragworm is delighted to be offering a series of fantastic deals this Black Friday. Each day a new deal is released – The deals are all different and the offers vary in discount day to day. Will you order based on today’s deal or chance it that tomorrow’s offer will be better? Last deal will be released 29/11/2017. Placing your order within our Black Friday Roulette will also unlock a special offer for you and you only. This will be a onetime use offer that can be used up until the 18th December! We want to keep those festive savings going for you as long as we can. Order your hardware to be a part of this festive madness.